A woman who killed her newborn baby shortly after giving birth in the bathroom of her home in Sussex has been spared jail. Gintare Suminaite, 30, of Aldwick Road, Bognor Regis, had faced a murder charge but prosecutors accepted her guilty plea for infanticide on December 21. She appeared at the Old Bailey on Monday, January 30, for sentencing. Having spent 298 days on remand, Suminaite was handed a community order which also includes a rehabilitation requirement order, police said. Prosecutor Ed Brown QC asked for the murder charge to lie on file. 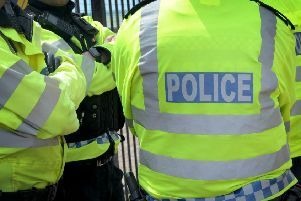 According to Sussex Police, the Old Bailey heard that an ambulance was called to an address in Aldwick Road, Bognor, at 8.37am on April 6 last year. The baby girl was confirmed dead at the scene and her mother Suminaite was taken to St Richard’s Hospital in Chichester requiring urgent medical treatment, police said. The charge stated Suminaite caused the death of her daughter ‘by compression of the neck with a ligature or by manual compression of the neck’, police added.